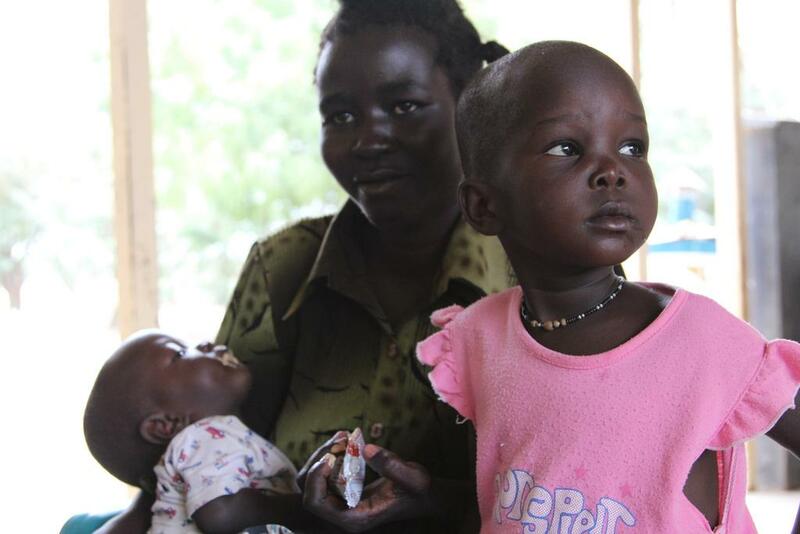 In Sub-Saharan Africa, children are 14 times more likely to die before age 5 than children in developed regions. The precarious health situation is likely to get aggravated with climate change, suggests a latest report by US Aid about the evidence on climate change and health in Africa. For instance, 10 million more children under age 5 will be at risk from under-nutrition as a result of climate change. Apart from increasing the burden of specific diseases such as malaria and meningococcal meningitis, climate change will also multiply “existing health vulnerabilities, such as poor water and sanitation, food insecurity, and limited access to health care and education,” says the report. The report also shows climate threats to development investments and highlights opportunities to achieve health targets in Sub-Saharan Africa in the face of climate change. Sub-Saharan Africa is particularly vulnerable to the health risks of climate change because of variable food security, uneven water and sanitation infrastructure, poor health system and socioeconomic problems. As temperatures warm and rainfall becomes more variable, key risks such as under-nutrition, malaria and diarrheal diseases – already leading causes of morbidity and mortality – are likely to grow, adds the report. 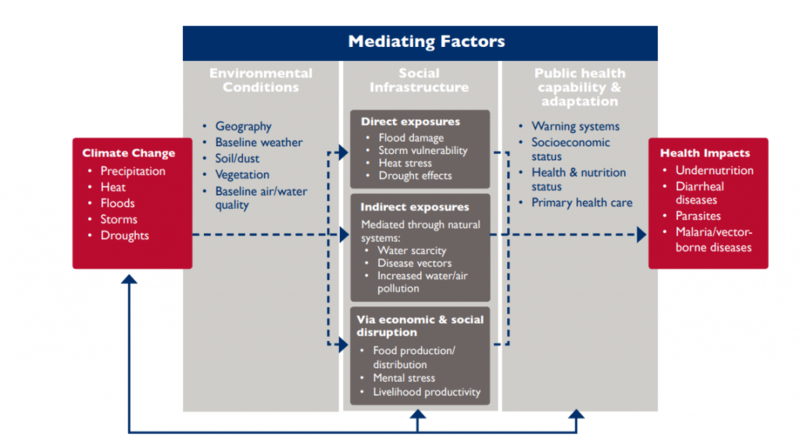 The box below shows how mediating factors (health, infrastructure and environmental conditions) and their interplay can create complex problems. For example, even though cholera is linked to excessive rainfall, outbreaks will occur primarily in areas which have weak water and sanitation systems. “Climate change will have significant effects on future under-nutrition, even when the beneficial effects of economic growth and improved livelihoods and services are taken into account,” says the report. This is particularly true for severe stunting, projected to increase by 55 per cent in Sub-Saharan Africa. The report concludes that a two-fold task of understanding climate impacts on human health and integrating information into decision-making is necessary to increase resilience of health systems in Sub-Saharan Africa.